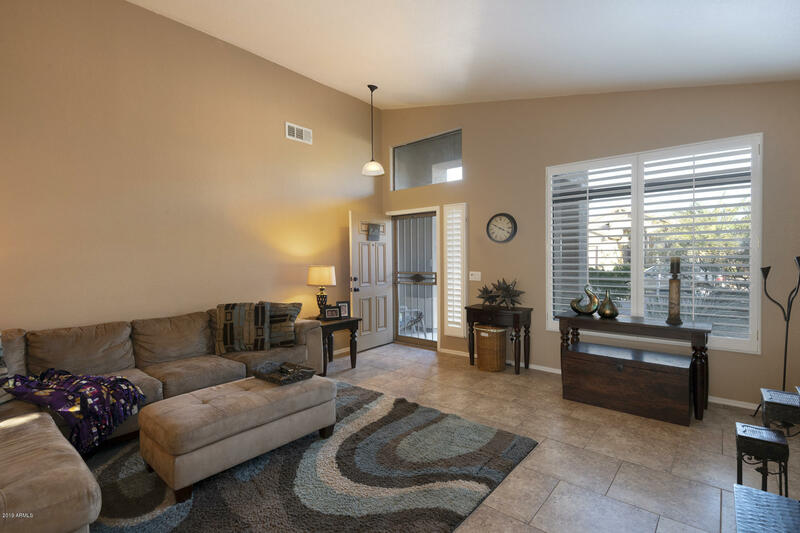 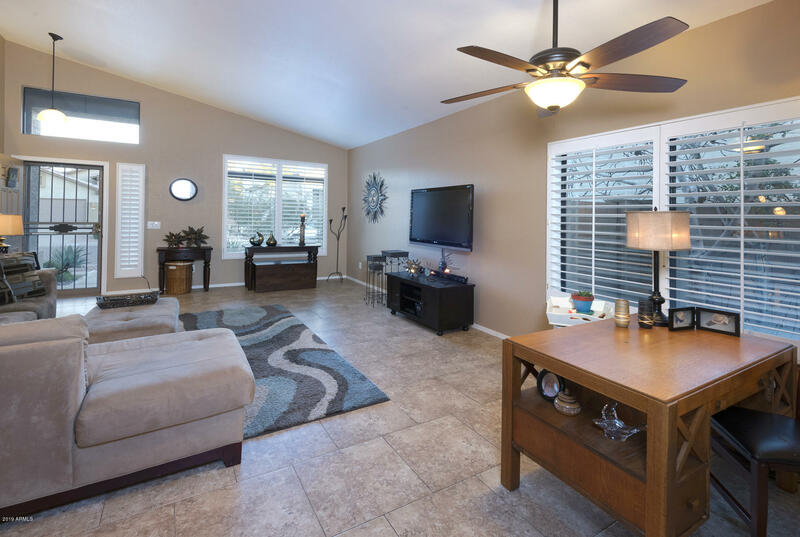 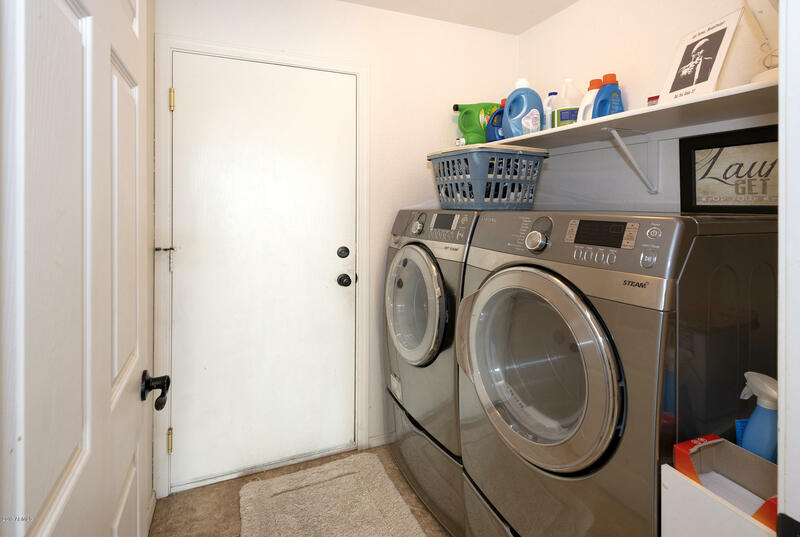 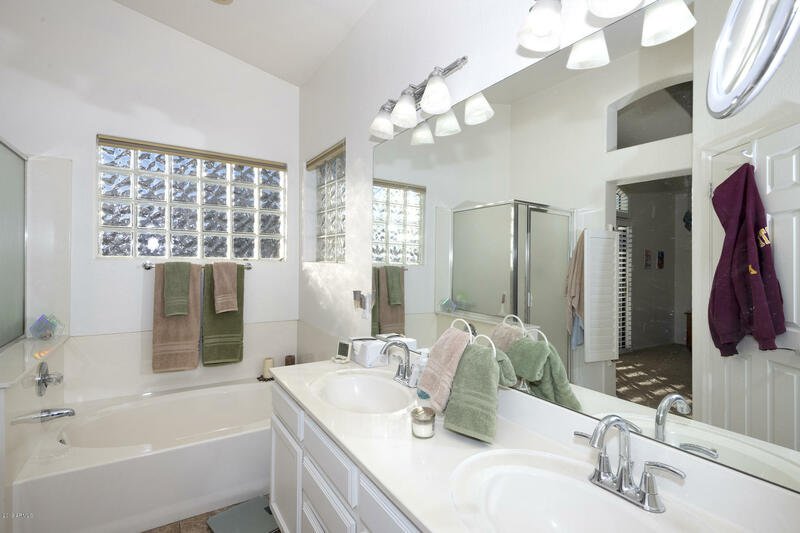 This beautifully updated home features fresh interior paint, new fixtures, doors & 4 '' mission shutters thru-out, lovely tile flooring, and recently replaced toilets & guest bathtub! 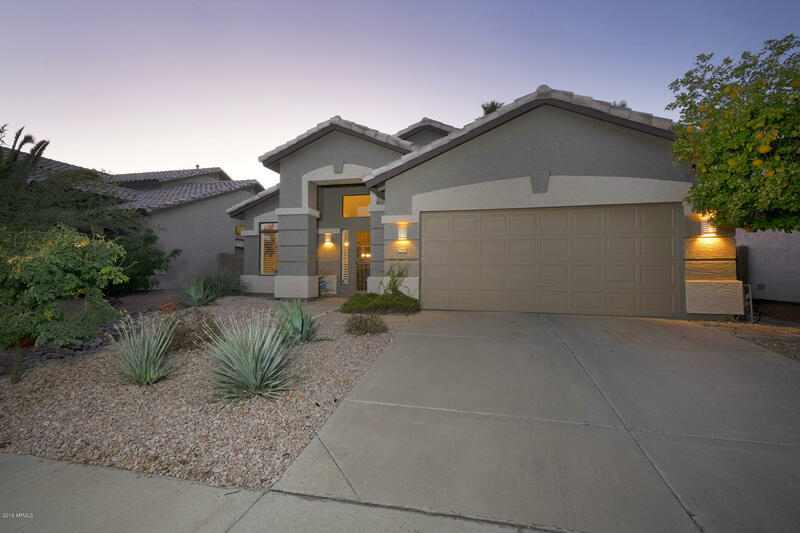 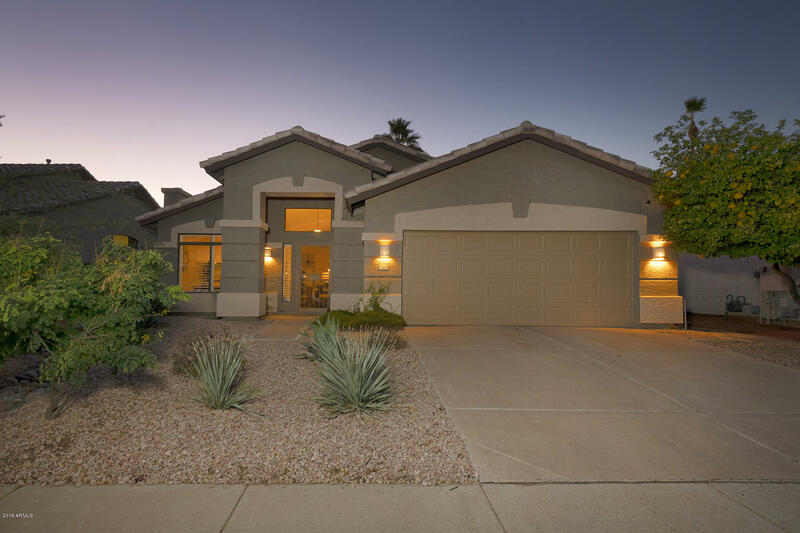 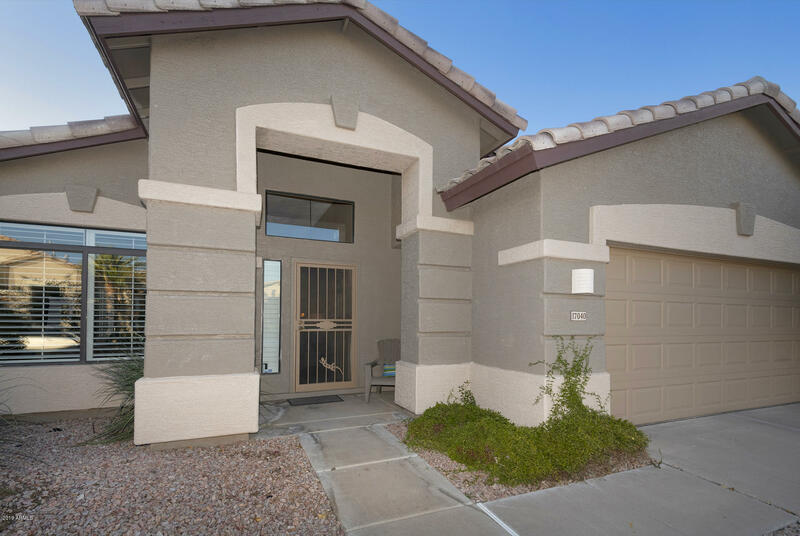 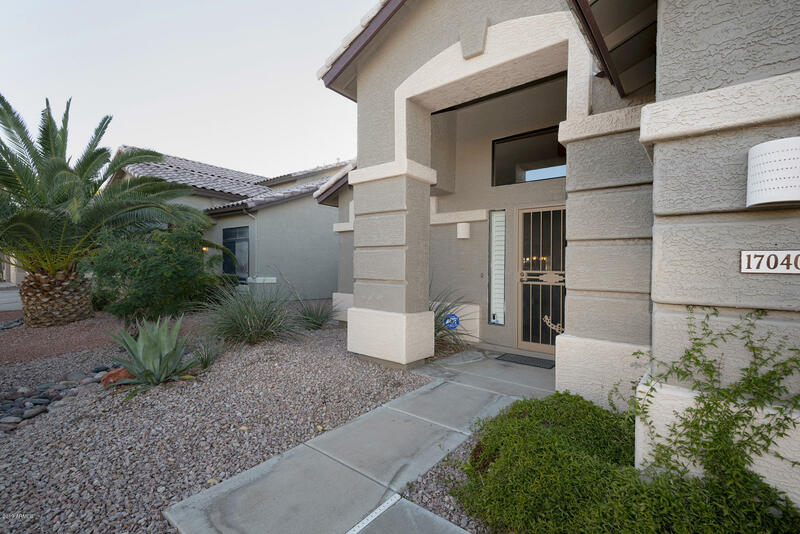 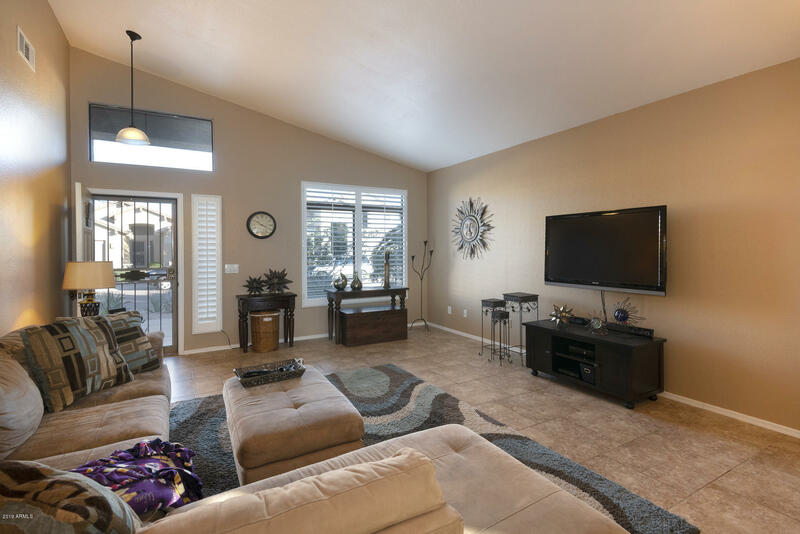 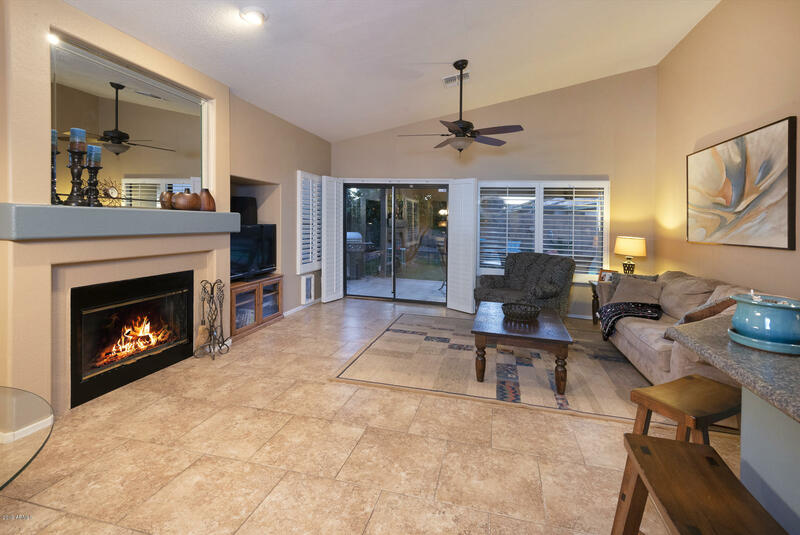 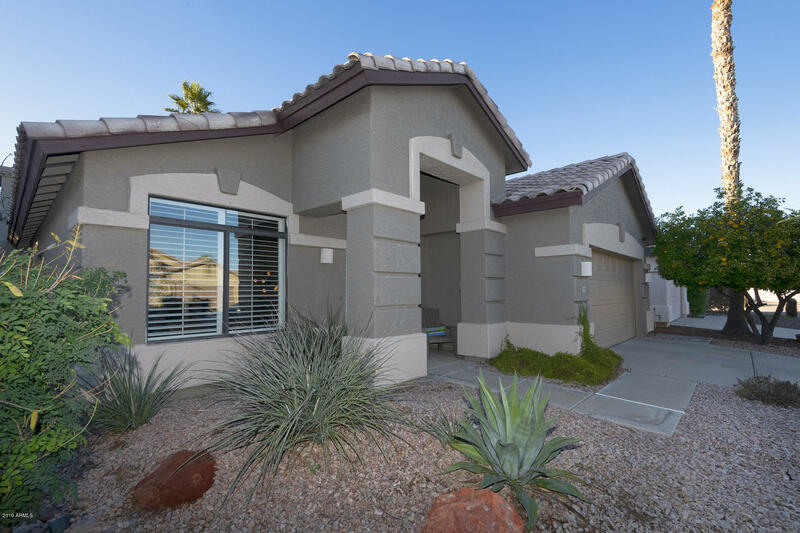 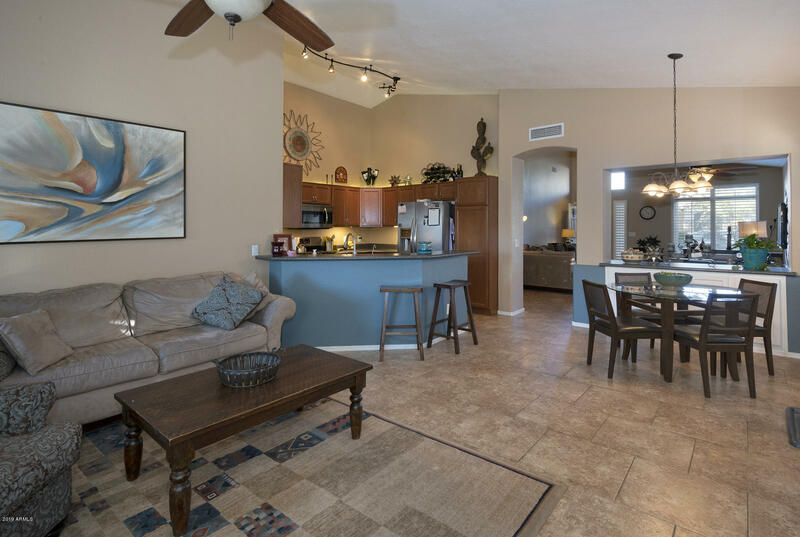 You'll love the soaring vaulted ceilings, formal living & dining, and great kitchen w/stainless steel appliances, cabinets, counter top & sink all replaced in 2012, as well as a breakfast bar & casual dining space that's open to the spacious family room w/cozy wood burning fireplace! 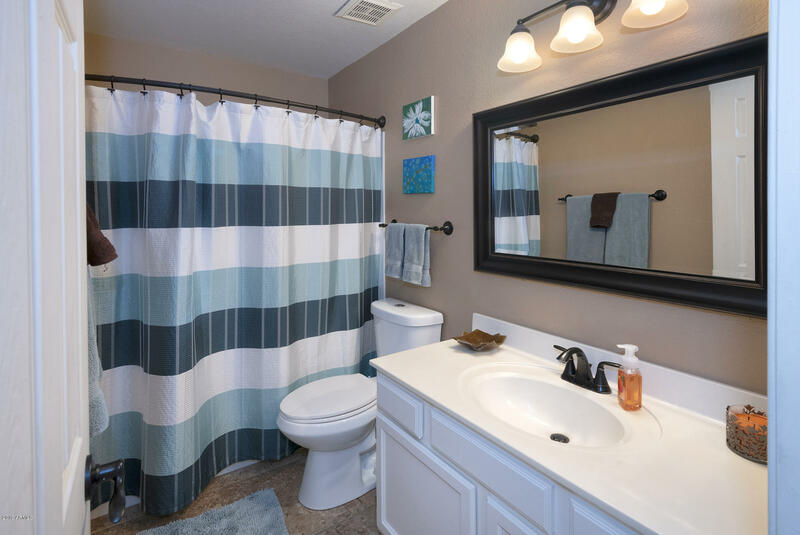 R/O system is owned and water heater was replaced in 2015! 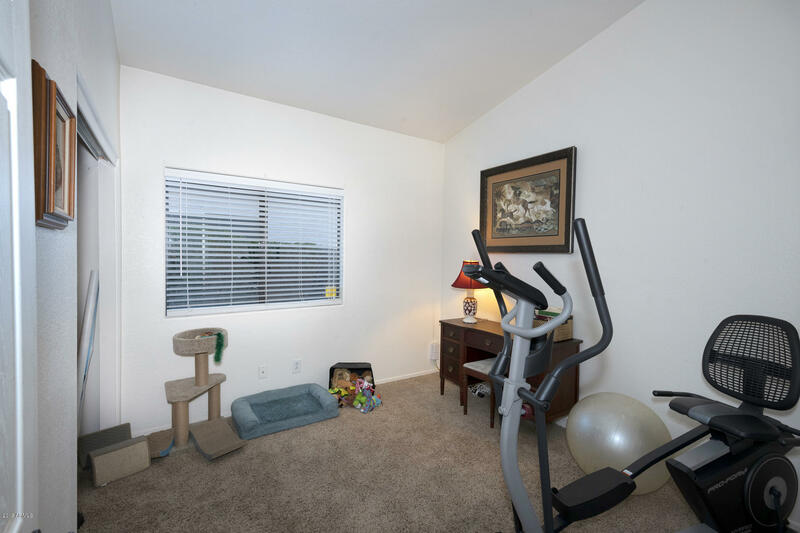 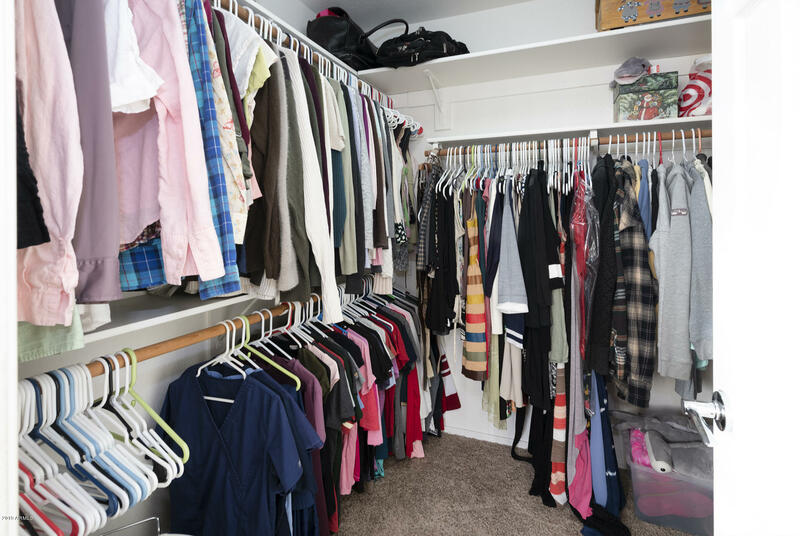 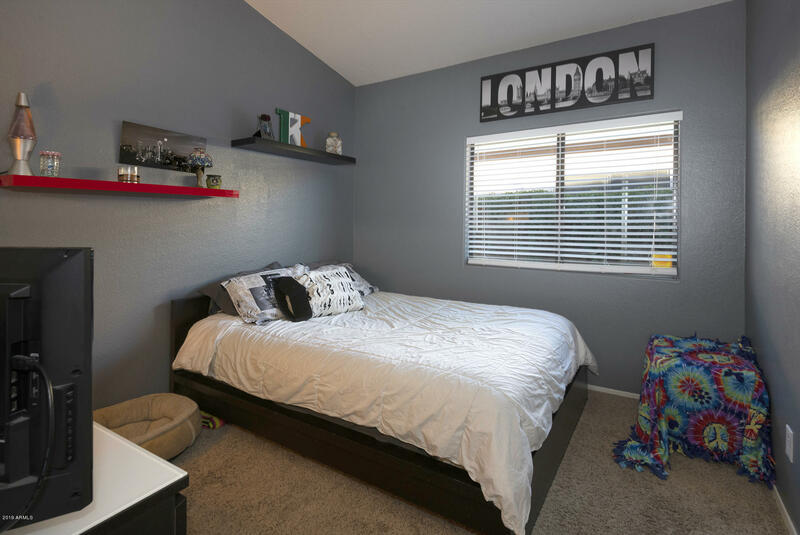 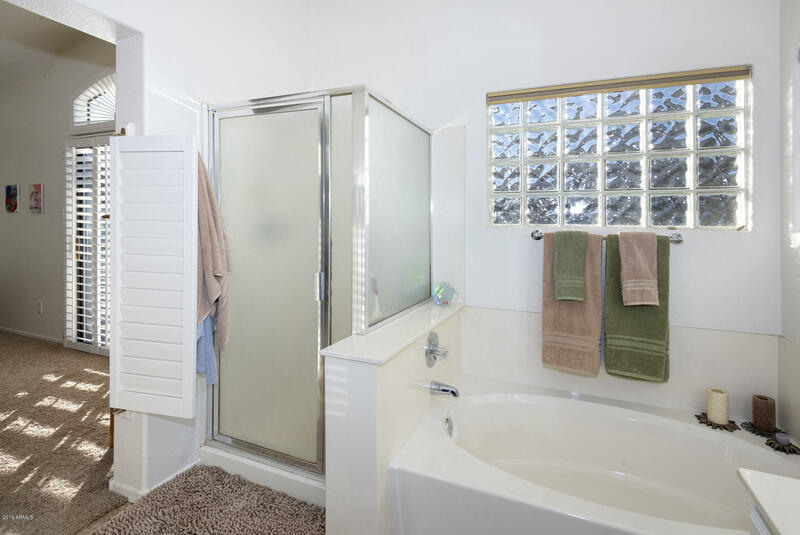 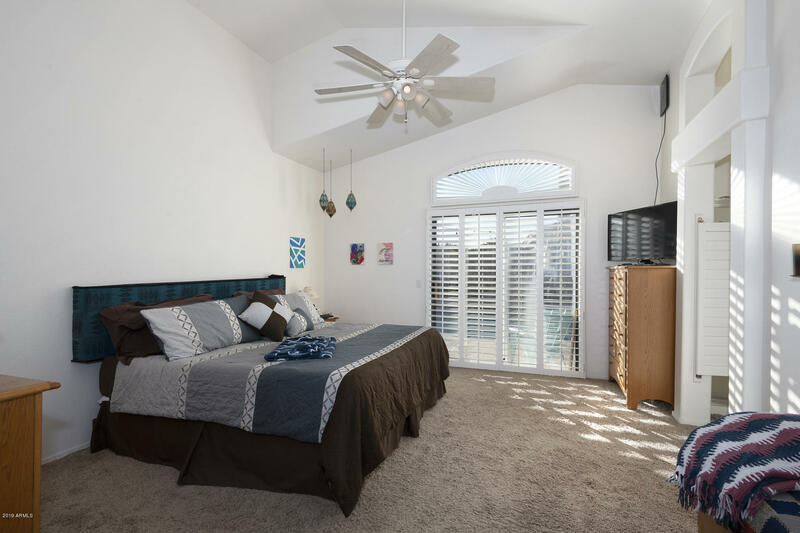 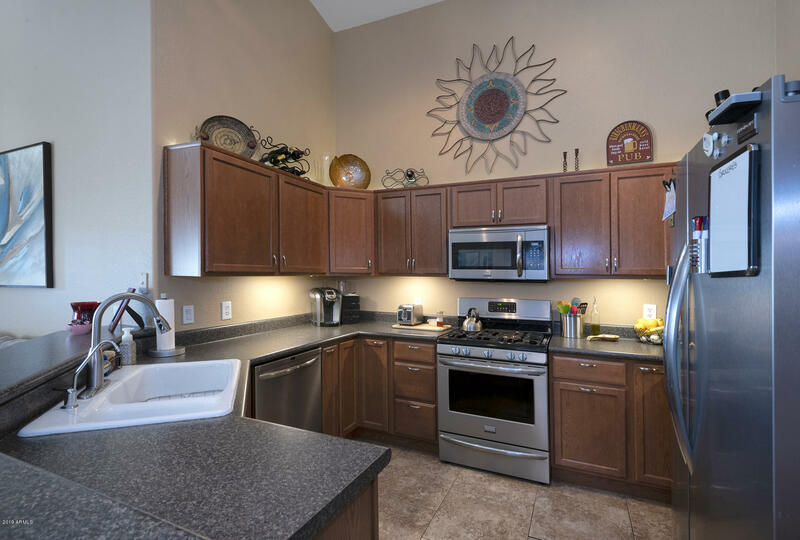 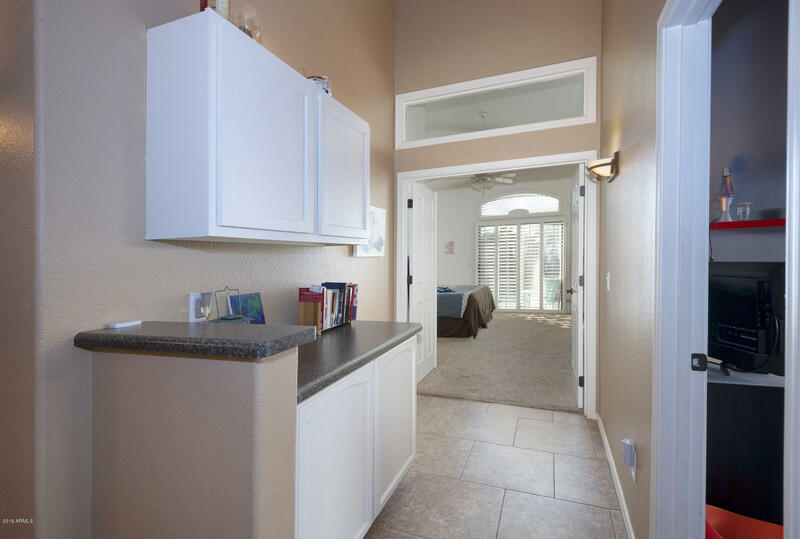 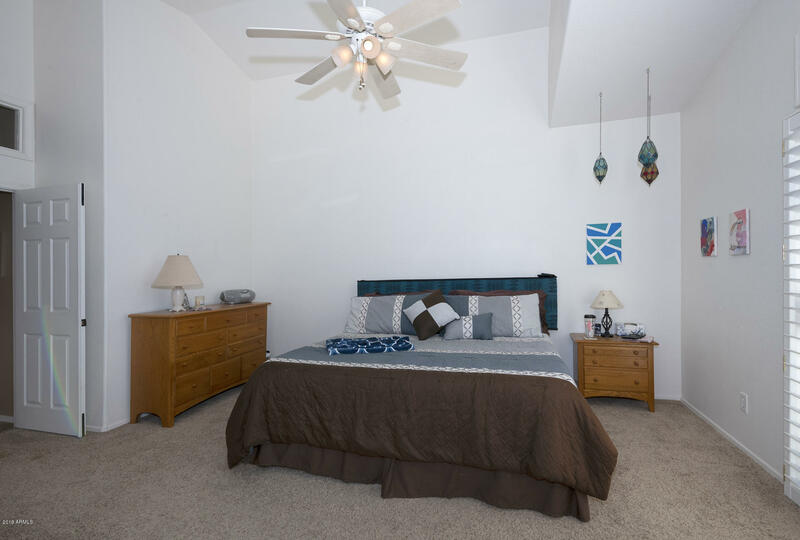 The roomy master suite boasts a full bath w/separate shower, tub, double sinks & walk in closet! 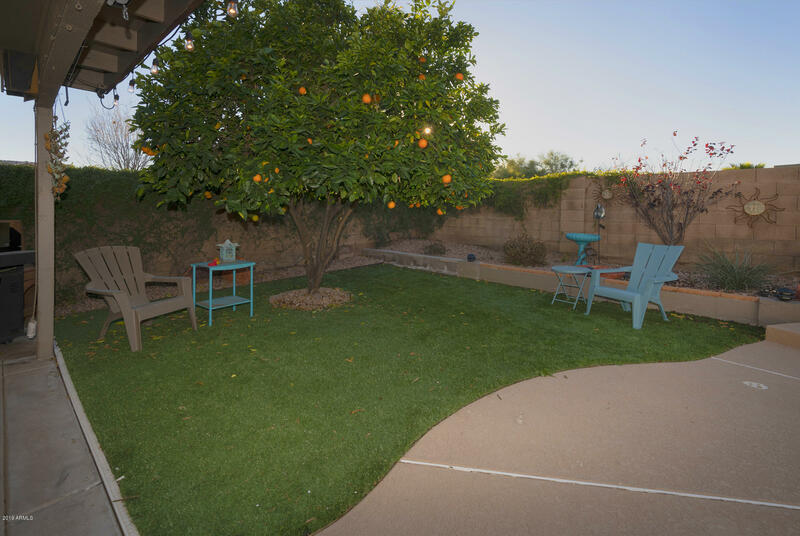 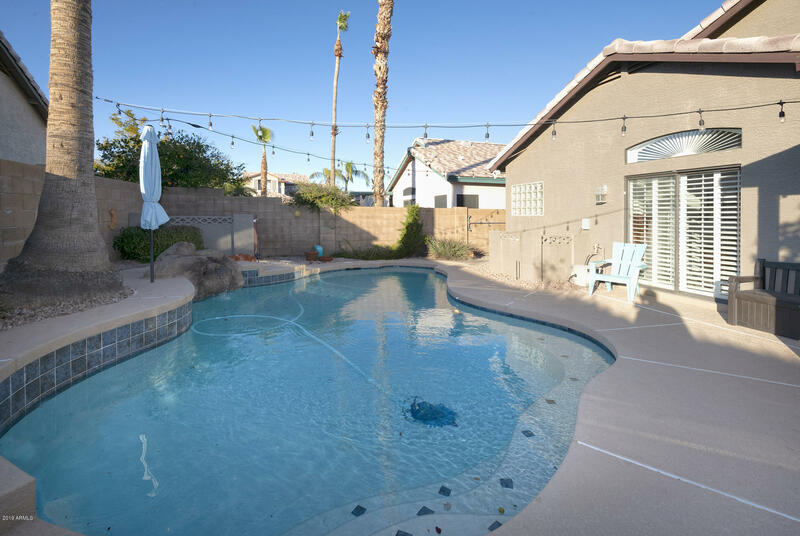 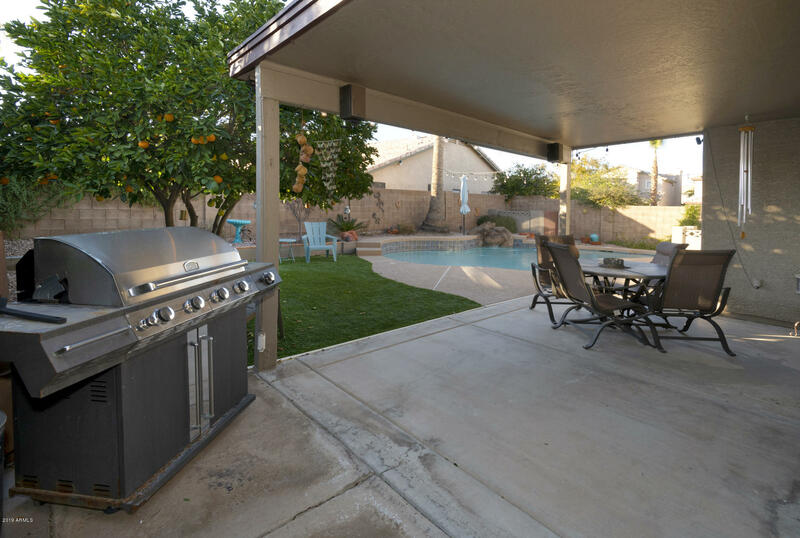 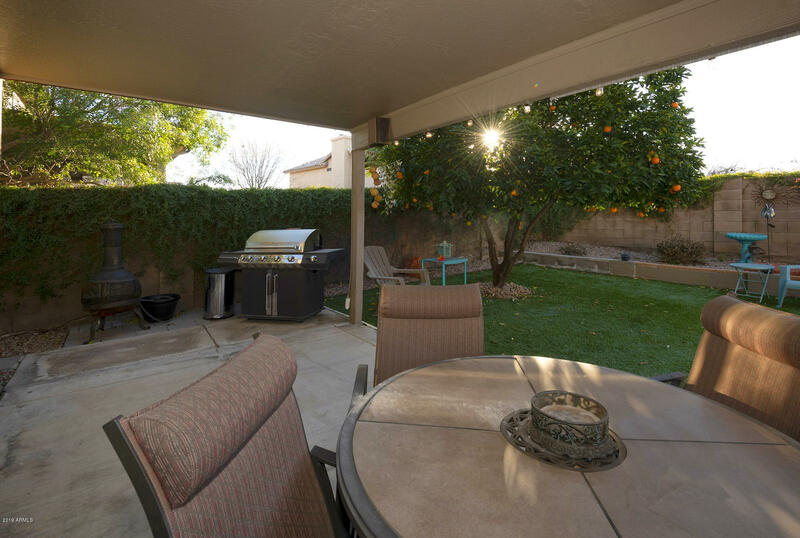 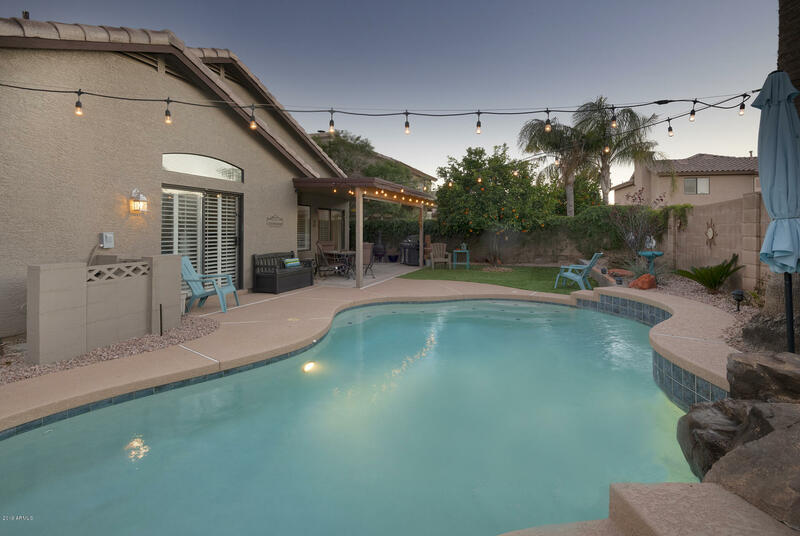 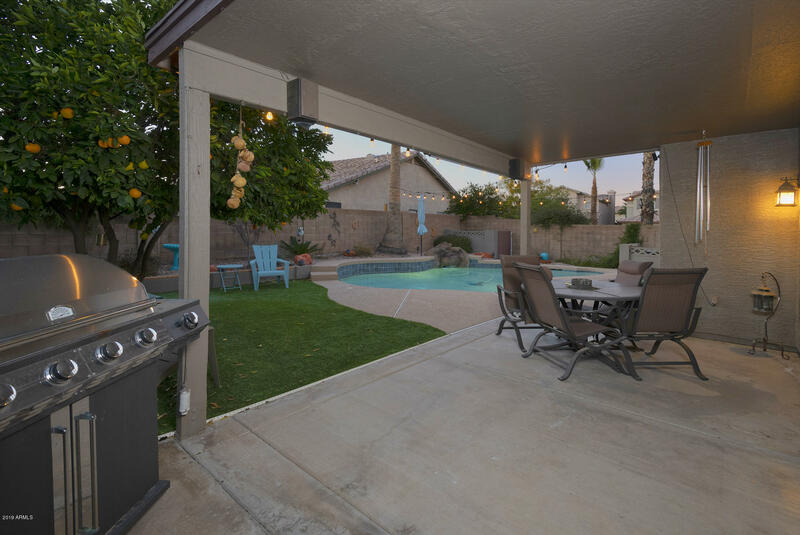 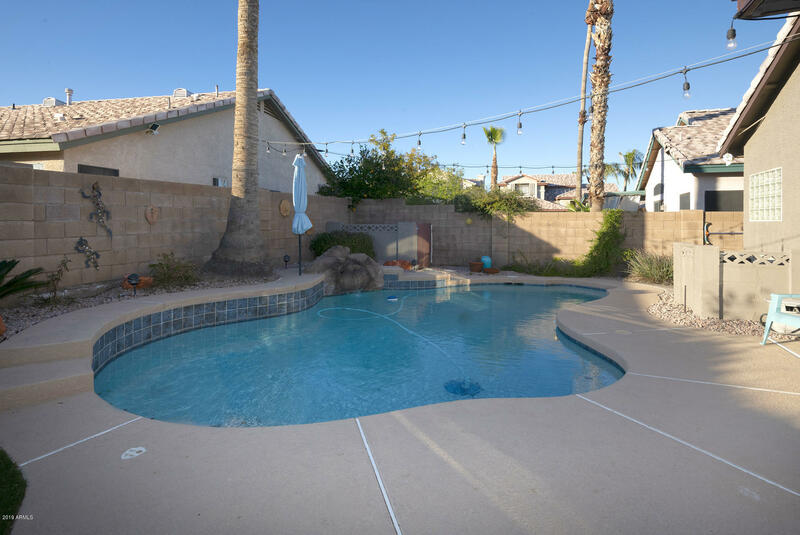 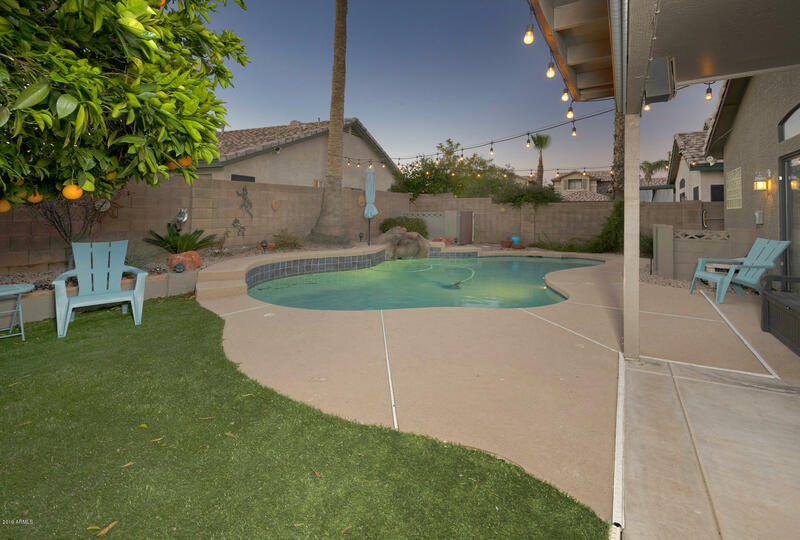 Outside you'll enjoy relaxing on the covered patio w/misting system overlooking the updated pool w/water feature & cool decking, and beautiful grass landscaping!